Typical picture. But the background is distrubing. I have the same problem of centering the most important thing. It is hard to overcome but if one can manage that, their photos will have much more impact and their scores will improve dramatically. 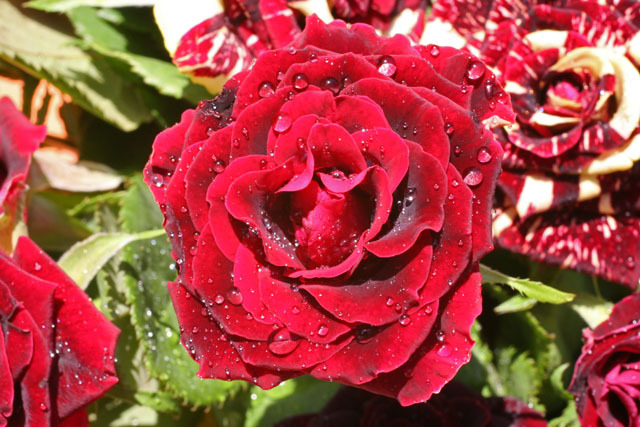 Try cropping this so the center of the main rose is in the lower left rule of thirds position. I think it will make a big difference. Proudly hosted by Sargasso Networks. Current Server Time: 04/20/2019 02:45:52 AM EDT.